Please note we are working on a new reworked menu. There will be a number of new lines introduced. More details soon. Sunday lunches will not be available for the foreseeable future. 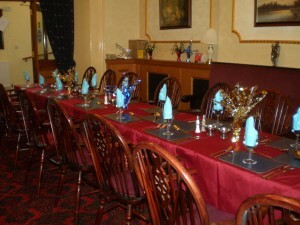 The exception is during the Christmas period when special menus will be available. There are no regular menus for Friday and Sunday nights. However menus can be made available for special evening parties and occasional entertainment based special events held in the Club at weekends.